KOS ISLAND, THE IDEAL DESTINATION FOR INCENTIVES, CONFERENCES, CONGRESSES, MEETINGS, BUSINESS TRAVEL, INTERNATIONAL CULTURAL AND SPORT EVENTS. Kos can be accessed by sea or air. Scheduled flights from the airport of Athens and many charger flights during high season from several European airports make the island easily approachable to the tourists. Beyond the busy resort hotels that welcome the vast majority of visitors, Kos has also another less seen face that you cannot meet unless you head in the mainland of the island and the mountains. 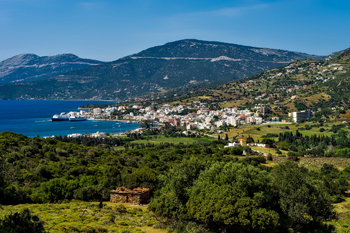 Visit the villages of Kardamena, Kefalos, Tingaki, Antimachia, Mastihari, Marmari, Pyli, Zipari, Platani, Lagoudi and Asfendiou. Zia is a small lovely village in the mountains with great view. The main sights are in Kos Town with the ruins of the Castle by the port and the plane tree of Hippocrates. The multicultural past of the island is evident with a Roman Catholic Church, a Mosque and a Synagogue. 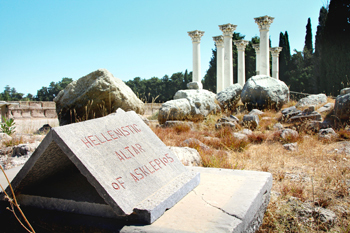 Kos has several memorials to the physician Hippocrates and the god of medicine from the Greek pantheon Asklepios, who had been the teacher of Hippocrates. The famous plane tree of Hippocrates in the city of Kos, with a perimeter of twelve meters, considered to be the largest in Europe is clamed to be planted by Hippocrates himself who used to teach under its shade. Local tradition also support that Apostle Paul also taught there. 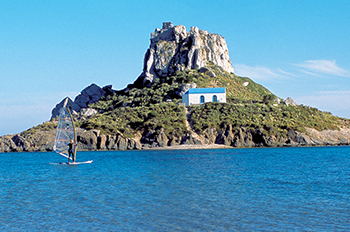 Other than visiting the archaeological sites or just enjoying the island's nightlife, Kos offers a wide range of options in terms of outdoor activities and wonderful beaches ideal for exploration and relaxation. The sports-enthusiasts, will also find their paradise in Kos where the warm waters of the Aegean and the golden beaches around the island perfectly combine with a wide range of sea sports facilities. The visitor can choose between water-skiing, wakeboarding, parascending, wind surfing, kitesurfing or speed boat hire, or jet-skiing and banana boat rides with friends and family. 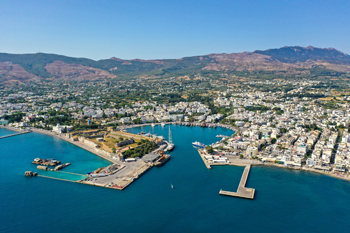 Visitors can also cruise around the coastline, passing by the stunning beaches and rocky shores, either by chartering a private yacht with the assistance of a skipper, or by taking short boat trips from the marina, it's a great way to relax and see the charm and beauty of the island. 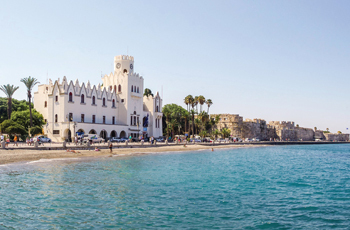 Due to the island's position within the Dodecanese, it is ideal for island-hopping by taking even day trips to Rhodes, Leros, Astipalea, Nisiros or Kalymnos. On the other hand, away from the beaches, the resorts offer a range of sporting activities to try, with facilities for tennis, volleyball, go-karting, horse-riding and even bungee-jumping. With a variety of different terrain, Kos is ideal for exploring by bike. There are flat areas of scenic countryside for those after a less strenuous biking holiday, or rougher, more hilly terrain, ideal for off-road mountain biking. The natural landscape, with its mountains, verdant forests and coastal plains, is also great for walkers as well as hikers. The island's ground is lowland and therefore blessed with rich agricultural potential. In the vineyards of Kos is produced fine, white, sweet wine, while the island is famous for tomato production. The mainland of the island has many of cows and therefore local dairy products. The fresh local cow milk that can be found in the local super markets is worth tasting.